We have a family staying with us right now: A husband and wife, and their two young daughters. 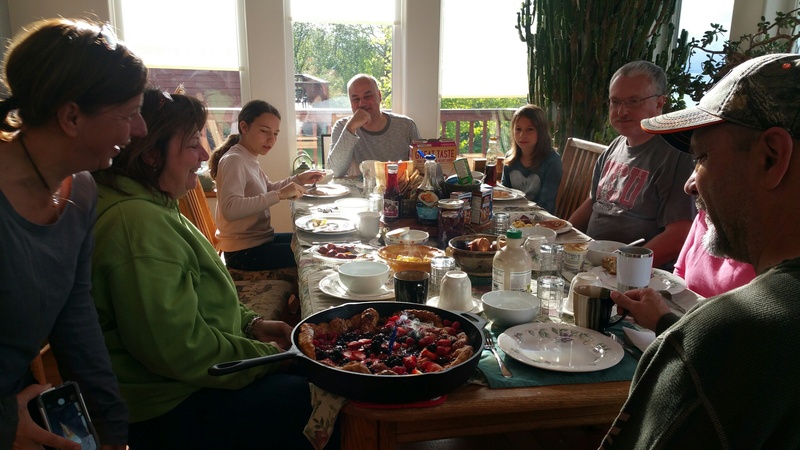 We found out that it was Claudia’s 50th birthday, so Maria made her the famous Alaska pancake with one candle; there were 8 guests at the table at the time. I’m pretty sure Claudia really liked it. The whole table sang “Happy Birthday”, and Claudia’s eyes welled up with tears of surprise, joy and gratitude (a therapists observation). 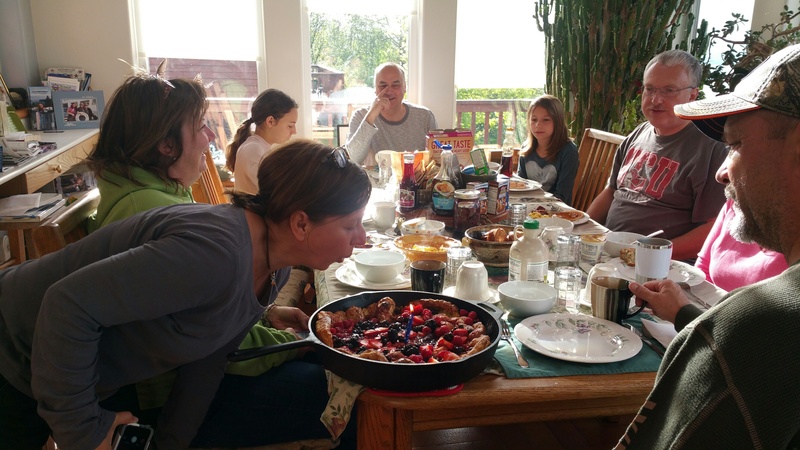 If you’re at our bed and breakfast and we know it’s your birthday, then as always, “this could be you, at Majestic View.” FYI – Maria makes the Alaska Pancake in a gigantic cast-iron skillet. It is a raised pancake that falls after a few minutes. It comes served with lots of fresh berries and powdered sugar, and is a Majestic View Bed and Breakfast guest favorite!